Top up just $3 for 2 sides (choice of ice cream or mashed potatoes) w/ every 5pc Chicken purchased. Early bird special; FREE $5 voucher w/ 2 boxes of $6.90 purchased. Happening between 8am – 11am & 9.30pm – 10.30pm. Popeye only serves Fresh Chicken, not frozen. Enjoy delicious chicken marinated in Louisiana spices for 12 hours. 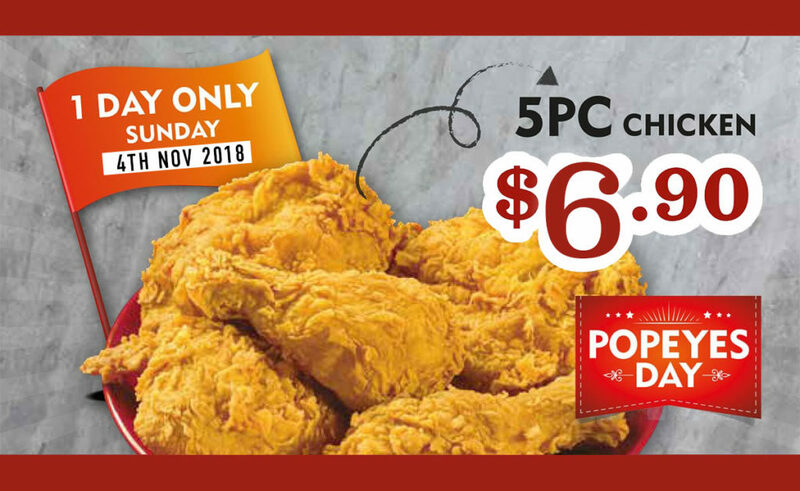 Available in Popeyes Singapore Islandwide!